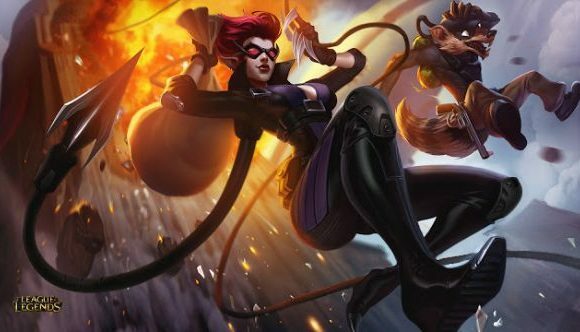 Riot Games could be preparing to reduce its esports budget over the course of the next few years. The news comes in the wake of suggestions that the company is already cutting back costs on its esports production, which have stemmed from comments from League of Legends Championship Series shoutcaster Andy ‘Vedius’ Day. During a stream over the weekend, Day stated that while he might be attending the League of Legends World Finals this year, he would likely not be flying out to Korea, where the tournament is being held. Reportedly, that’s because the broadcast will take place in Los Angeles, where Riot’s headquarters is based. When asked why that would be the case, Vedius replied “because it’s cheaper,” stating that Riot has “always done the play-ins” from Los Angeles and that “I think they want to do the rest of it from LA too.” Fans later learned that only the on-stage interviewers, Ovilee and Sjokz, would be on-site in Korea throughout the tournament. Other casters and crew will attend the Grand Final, but the play-ins, group stages, and quarter and semi-finals will all have their English language streams broadcast from America. Simplified, while it might seem a poor omen for a company as apparently successful as Riot to be cutting back on one of its most public, but ultimately unnecessary, expenditures, all it really does is speak to more “mature” business practice. It’s only if revenue “does not pick up enough” over the next “~3” years, that Riot will cut back their esports budget, but if current trends continue over that time “our budget can stay the same or increase.” Worlds 2018 begins in October, and will culminate in a Grand Final scheduled for November 3.